Researchers do not yet understand the exact process by which sericea reduces and controls parasites, but they believe that specific condensed tannins in the plant make it effective over the long-run. They offer two theories about the role of condensed tannins in sericea. First, the tannins appear to reduce both the number of parasites in animals and the egg production by female parasites. This would lower infestation rates by ridding the animals of existing parasites and by breaking the re-infestation cycle. Second, the condensed tannins in sericea are known to improve the digestion of proteins in ruminants. Improved nutrition might enhance the animals' own immune responses to parasite infection. However sericea works, the bottom line for goat and sheep producers is that it does work. Ongoing research at Fort Valley, Auburn, LSU and the USDA is exploring the scientific and practical feasibility of sericea-based rations and/or treatments for parasite control. So far, the results are very promising. Acting on behalf of all the institutions participating in the research, Auburn University has applied for and received a patent on the properties of sericea-based anthelmintic (anti-parasite) rations and treatments for a variety of livestock and exotic animals. Meanwhile, limited quantities of AU Grazer® sericea lespedeza seed are available for those who want to grow their own remedy for costly parasite problems. This option is particularly attractive to producers with highly-acidic, low-fertility soils. The crop thrives under these conditions and, being a legume, requires no nitrogen fertilizer. Bred for hardiness, AU Grazer® withstands grazing and haying pressure better than other sericea varieties. Its deep root system makes it quite drought-tolerant. Though it shouldn't be grazed or hayed heavily in the first year, once it is established, a well-managed stand of AU Grazer® will last for years. 3. B.R. Min, S.P. Hart, D. Miller, G. Tomita, E. Loetz and T. Sahlu, "The Effect of Grazing Forage Containing Condensed Tannins on Gastrointestinal Parasite Infection and Milk Composition in Angora Does," Veterinary Parasitology, 130: 105-113, 2005. also B.R. Min, W.E. Pomroy, S.P. Hart, T. Sahlu, "The Effect of Short-term Consumption of a Forage Containing Condensed Tannins on Gastrointestinal Parasite Infections in Grazing Wether Goats, Small Ruminants Res. 51:279-283, 2004. For years, sericea lespedeza has been a staple in erosion control, land reclamation and soil-building projects. Its copious foliage covers road banks, conservation acreage and recovered strip mines across the southeastern United States. Because it thrives on marginal soils and tolerates drought, Sericea has offered tantalizing prospects for a low-cost forage crop. Two generations of agronomists have experimented with new varieties of sericea. Their goal has been the development of this legume as a cost-effective alternative to crops that require generous applications of nitrogen fertilizer. With the release of the AU Grazer® variety of sericea, The Alabama Agricultural Experiment Station at Auburn University took a big step toward the realization of this objective. Additional research by the USDA, Auburn, Louisiana State and Fort Valley State Universities has confirmed other important attributes of AU Grazer®. AU Grazer® is proving to be an excellent choice for cattle, goat, and sheep producers who want to lesson their dependence on synthetic inputs. As its name implies, AU Grazer® was bred to withstand rigorous grazing. In successive rounds of plant selection, various areas that included many types of sericea lespedeza were subjected to extreme grazing and frequent mowing. Specimens were stressed to a point where only the hardiest endured. AU Grazer® was bred from the survivors of the multi-generational process. The result is a sericea variety that will bear haying and grazing pressure even better than other sericea varieties. Given its remarkable stamina in the face of grazing, haying and drought, AU Grazer® has the potential to provide forage when less robust crops fail. One of the most exciting discoveries about sericea lespedeza is its anthelmintic (anti-parasite) properties. 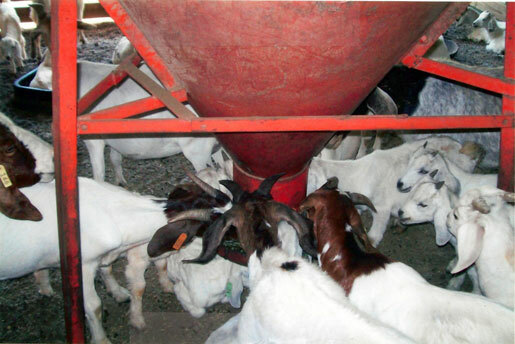 Joint research at the USDA, Auburn, LSU and Fort Valley State Universities looked at goats and sheep infected with gastrointestinal nematodes (Haemonchus contortus). Experimental groups of infected animals were fed AU Grazer® sericea hay and a supplement, but received no chemical anthelmintic agents. The results revealed that sericea hay reduced and controlled gastrointestinal nematodes as well as some commonly used chemical anthelmintics.2 Given the growing problem of parasite resistance to the use of pharmaceutical drugs, the discovery of sericea's more "natural" method of parasite control is very encouraging news. Ongoing research on the anthelmintic properties of sericea is broadening the scope of potential applications. Acting on behalf of all the institutions participating in the research, Auburn University has applied for and received a patent on the properties of sericea-based anthelmintic rations and treatments for a variety of livestock and exotic animals. Meanwhile, grazing sericea lespedeza also has been shown to reduce the number of parasite eggs in goat feces in studies conducted at Langston University, OK.3 Goat and sheep producers can capitalize on the anthelmintic properties of sericea by planting their hay and grazing acreage with AU Grazer®. Furthermore, the tannins in sericea lespedeza have been found to reduce methane gas emission in goats. Grazing AU Grazer® sericea lespedeza could help reduce this environmental problem. AU Grazer® sericea is emerging as a highly desirable, multifaceted forage crop. Its benefits make AU Grazer® attractive to producers who need to control costs and/or parasites. Farms with highly-acidic, low-fertility soils are particularly well-suited for AU Grazer®. For years, sericea was known as "poor man's alfalfa". Though the comparison of sericea and alfalfa is hardly an accurate reflection of either crop, the spirit of the saying holds true. 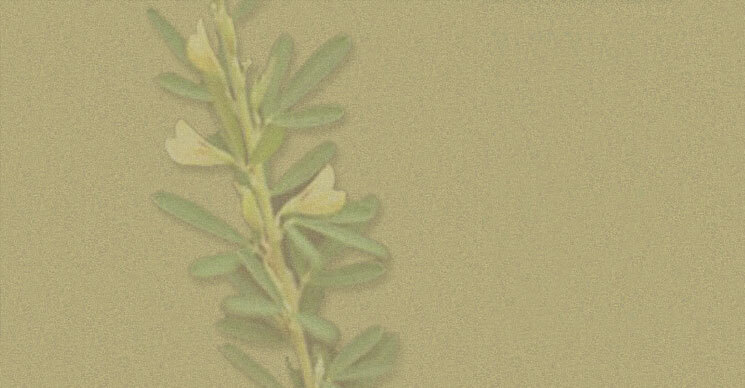 AU Grazer® sericea lespedeza can provide a real advantage to farmers who operate near the margin of profitability. If you are interested in becoming a dealer, please contact us at (334) 738-2619 or service@simsbrothers.com. 3. Min, B.R., S.P. Hart, D. Miller, G. Tomita, E. Loetz and T. Sahlu, 2005. "The effect of grazing forage containing condensed tannins on gastro-intestinal parasites infection and milk composition in Angora does". Veterinary Parasitology 130:105-113 also Min, B.R., W.E. Pomroy, S.P. Hart, T. Sahlu, 2004. "The effect of short-term consumption of a forage containing condensed tannins on gastro-intestinal nematode parasite infections in grazing wether goats." Small Ruminant Res. 51:279-283. A limited supply of feed Pellets made from AU Grazerï¿½ is now available. These pellets are made from a minimum of 85% sericea lespedeza leaf meal and 15% molasses/lignon binder. Molasses makes the pellets palatable and more attractive to the animals. Research has shown that sericea lespedeza pellets control barber pole worm and coccidia in goats and sheep as well as fresh material or hay. In pellet form, sericea lespedeza can be available year round, even when the crop is dormant and can provide parasite control for those unable to grow the crop for grazing or hay. Although sericea lespedeza pellets may not eliminate the need for pharmaceutical drugs entirely, they offer a natural alternative while providing an easier method of controlling parasites. Feeding sericea lespedeza pellets should reduce the number of times pharmaceuticals are needed. Try Sericea Lespedeza Pellets for your parasite control problems. Your animals will be glad you did. Sims Brothers, Inc. manufactures sericea lespedeza pellets under U.S. Patent number 7,615,240 B2 licensed by Auburn University. If you are interested in sub-licensing opportunities, please call us at (334) 738-2619.